Making Over the Laundry Room - Oak House Design Co. I've been putting together a palette for my laundry room. I am in the process of replacing my washer and dryer and decided to try to pull the room together before they are delivered. 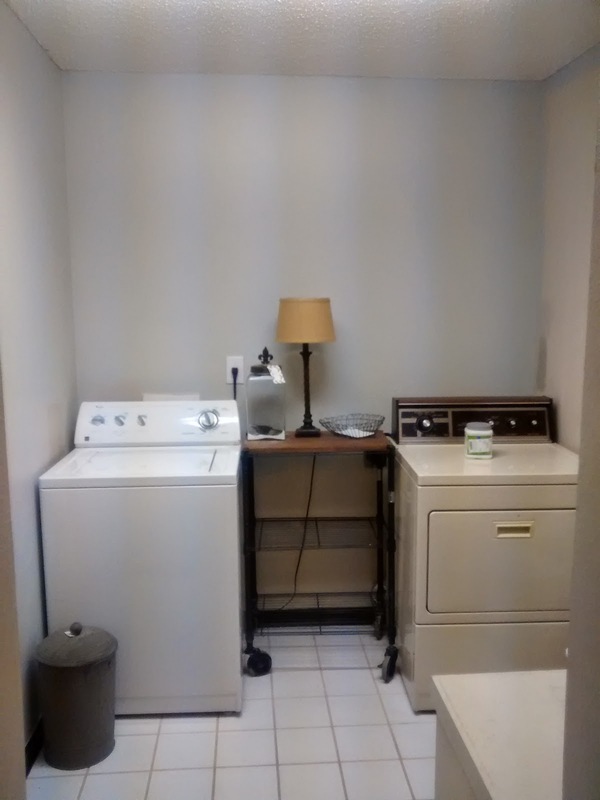 My laundry area sits down at the end of what is really a multi-purpose room. 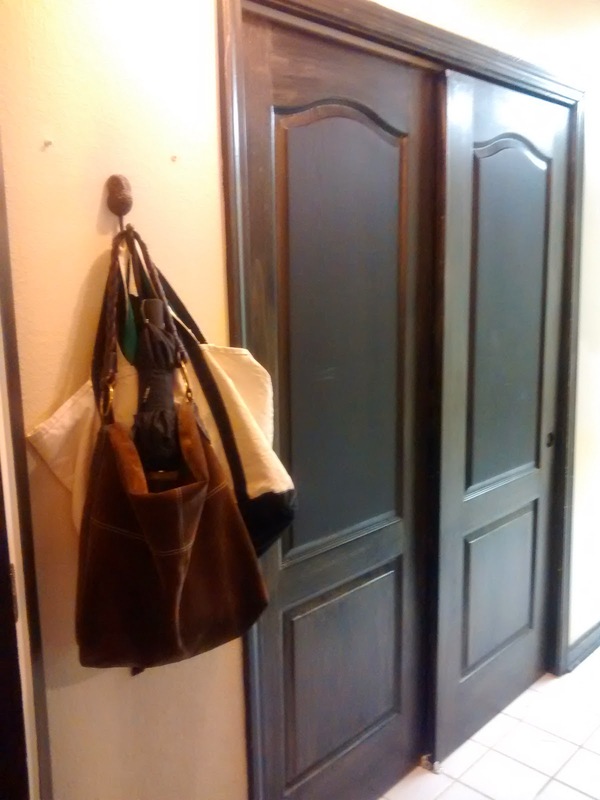 When you open the door to the room you look down a narrow hallway that on the left houses a pantry behind sliding doors, and a coat/storage closet on the right. At the end the space opens up, but has an exposed water heater on the right and leads to the garage on the left with the washer and dryer along the back wall. When I think about it, it's a neat space because it performs a lot of functions, but I don't currently like what I see when I walk thru the space. Especially since the water heater stares you in the face as soon as you open the garage door. It's even up on a platform, which has become sort of a make-shift garage 'entry table' or junk catcher. Ugh..so time to remedy that. I had several goals when picking a palette for the space. First, I wanted it to be light, serene, and fresh. Picking the right palette I think will have the most impact of the feel of the room. Second, the existing white ceramic floors will stay and must coordinate with whatever I choose. 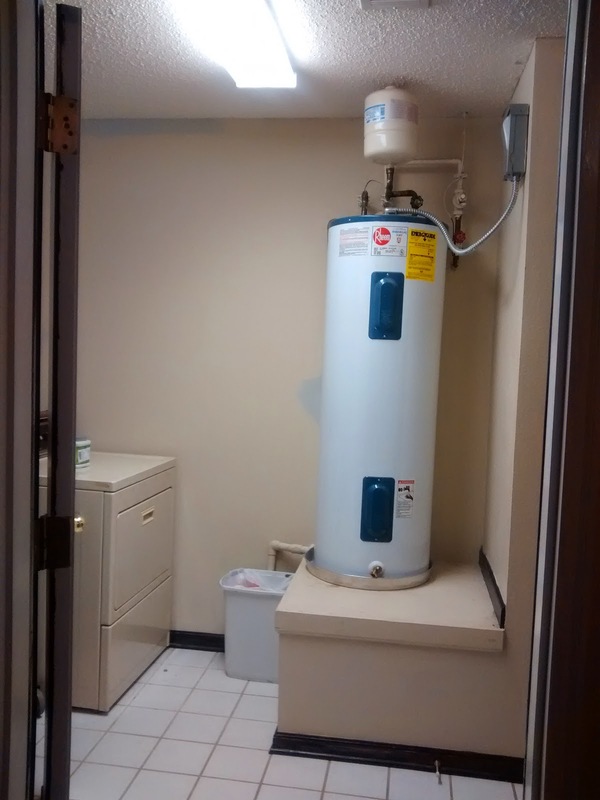 Third, I don't want to see the water heater anymore. Fourth, I need storage. I used to have a lone wire shelf above the washer and dryer, but I took it down several years ago because I hated it. 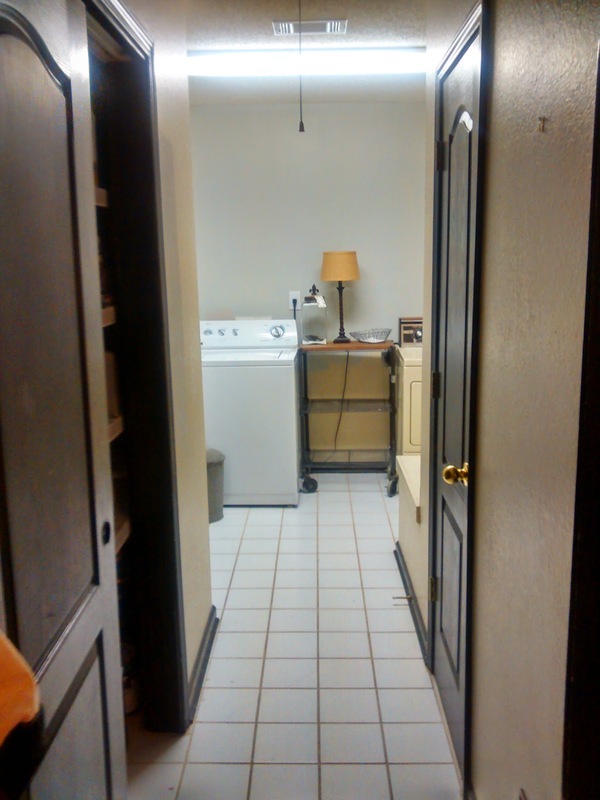 I want to add closed storage above the washer and dryer and a folding space as well. So far this is the palette I have chosen. Blue, white, french grey, marble, stained wood...yes please! 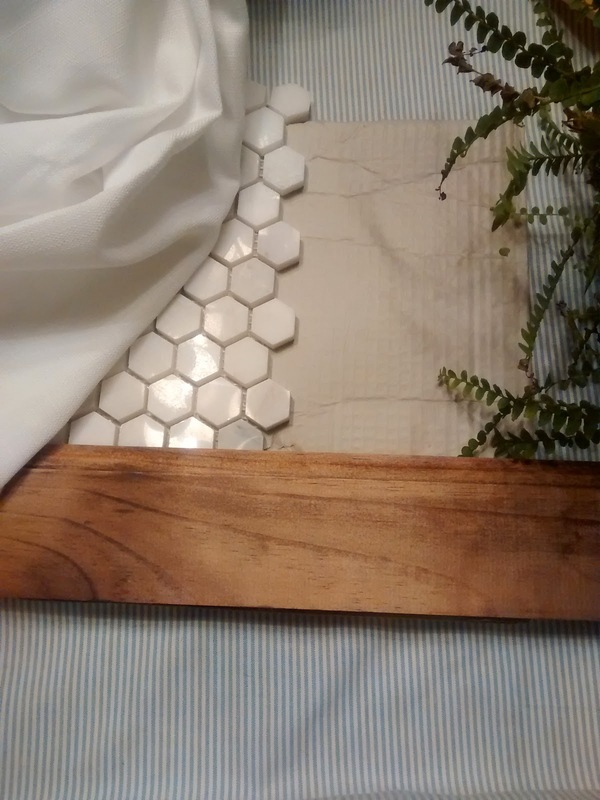 I'm dreaming of a backsplash out of the hex marble tile. If I can DIY it, it may be possible, but everything else I think is doable. 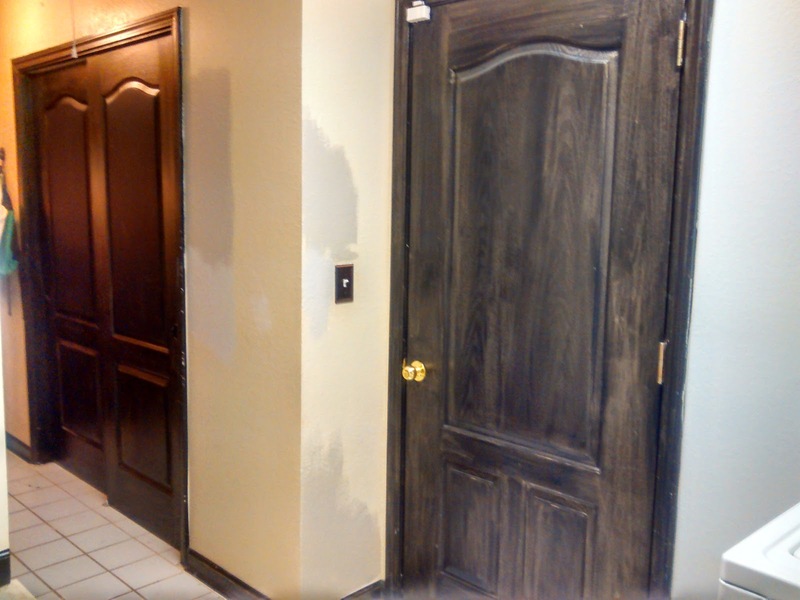 I am testing wall colors and painted the back wall a shade of blue, but am leaning toward a french grey wall color. I can still bring the blue in with fabric. The blue and white fabric feels fresh and bright, while the french grey wall color makes it feel serene. These colors will also coordinate with the existing white tile floors. To hide the water heater, I plan to hang drapes on a curving track system. For storage the plan is to add cabinetry above the washer and dryer. I called up a family friend for a reference to a carpenter to hang cabinets for me and install brackets for the countertop. Well, not only did I get a good reference (turns out he and his son do custom carpentry! ), but he had two beautiful, 42-inch, raised-panel, custom cabinets in his shop from a previous job, that he's giving to me for the space. Yay!! (Cue the "Everything is awesoooome!" song.) The only thing is they are two different widths. One is 30 inches wide and one is 36 inches wide. I had originally planned to install two 30 inch cabinets and have approximately 20 inches of open shelving in between. But I've sketched up a plan for the cabinet and appliance wall. The wall is off center from the line of sight when you look down the hallway, so I'm hoping that it will help the asymmetry to sort of disappear. So we will see. For the countertop the plan is to use a sheet of birch or oak plywood and stain, seal, and trim it out. I can envision skirting the countertop with the blue/white striped fabric. I'm looking forward to seeing how this turns out. I better get started with painting. Enjoy your weekend!